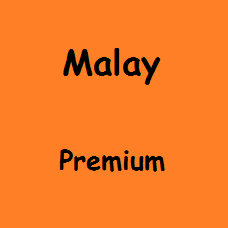 This Malaysian Premium Kratom is made from premium Kratom leaves. This is the most sold Malaysian Kratom, worldwide. Before milling these Kratom leaves, al major stems and veins are removed to get a stronger Kratom powder. But removing the stems and veins gives a lower yield and that's why this Malaysian Premium is more expensive than the Malaysian Commercial.